The estate lies in the northernmost parish of Barbados, St. Lucy and was originally called Mount Gilboa but renamed to Mount Gay in 1801 to honour Sir John Gay Alleyne, who had been appointed manager of the distillery in 1747 when the owner John Sober purchased the 280 acre plantation from William Sandiford. Since the early 1900s, the Mount Gay estate has belonged to the Ward family who introduced new methods in increasing rum production while maintaining the old traditions of rum making. Today the Ward family are still involved with Mount Gay Distillers, and you can find the signature of Aubrey Ward adorning every bottle of the old style of Mount Gay Rum. Why it was not included in the new design of Mount Gay is a mystery yet to be revealed. At Mount Gay the molasses are fermented up to 72 hours, which results in the molasses having around 6 to 7% of alcohol. 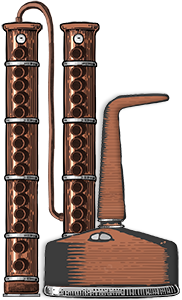 The fermented molasses is distilled in pot and column stills after which the distillate is transported to St. Michael for barrel ageing and diluting with coral filtered water. The distilled sugar cane spirit is matured in 200 litre oak barrels from Kentucky which are only used three times to age rum before being replaced by newer barrels. Some of the rums reserved for the blend of Mount Gay Extra Old are aged up to 17 years in these barrels before being blended in large tanks, overseen by the Master Blender Allen Smith. The final blend, which is chill filtered at -10 Celsius, is delivered to the bottling plant capable of producing up to 1,500 cases of Mount Gay Rum per day! Of course not all 1,500 cases are Mount Gay Extra Old. The packaging of Mount Gay Extra Old has changed dramatically, and in fact the packaging of the whole range has seen a significant transformation in recent years when they introduced the new design for XO, Eclipse and the Silver Eclipse. I liked the classic old round bottle with a bubble neck and a nautical themed box and will miss it, though the new one isn't bad looking either. The most significant change in the modern bottle is the flat and wide shouldered design and with a heavy glass bottom it feels solid. As a result of changing the whole range, they now look more consistent with each other and will make an impressive display on anyone's liquor shelf. The colour is sparkly amber with brighter yellow highlights. Gentle floral and buttered aromas are drifting near the mouth when the rum is first poured into the glass, later revealing caramel and creamy vanilla with bourbon and coconut undercurrents. In a matter of minutes, the nose acquires rather honeyed characteristics and moderate copper notes. The flavours are initially warm and tingly from the alcohol, but are quickly subdued by sweet caramel and light wood notes that are further softened by bourbon and vanilla. A slight bitterness remains on the tongue, however. 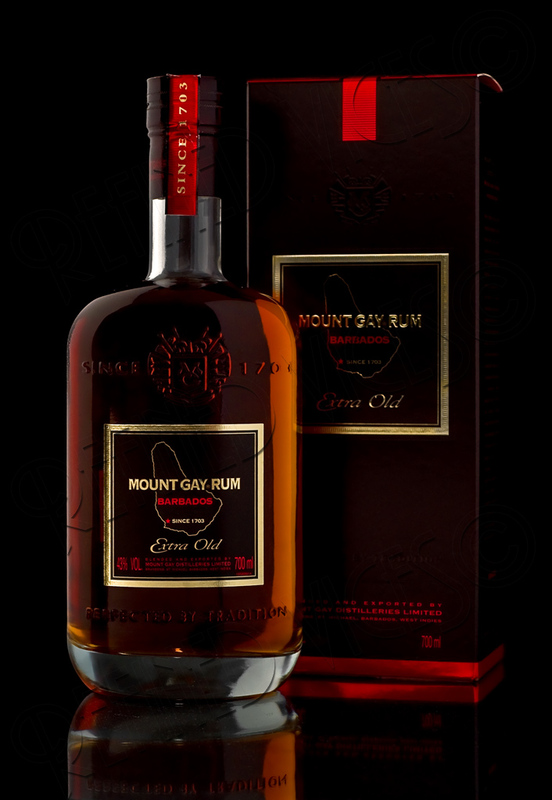 While not overwhelmingly complex or mind blowing, Mount Gay Extra Old is a nice rum to sip neat and no doubt works well in many cocktails, the rum old fashioned being one of my favourites. It is not too rare or expensive in such use either which easily makes it one of my staple rums that I can drink often enough without being afraid of the dreaded wallet moth. Honestly, I ran out of this rum before I got to the end of this review. It simply means this review was published before the website was updated and before the adoption of the new rating system. This review has now been converted to the new rating system. 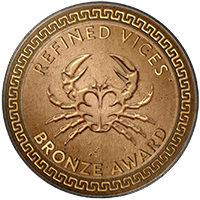 Under the original three award scoring system this rum received a Silver Award. 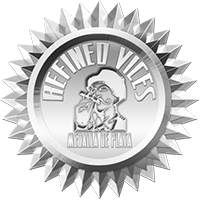 Read more about the new rating system.